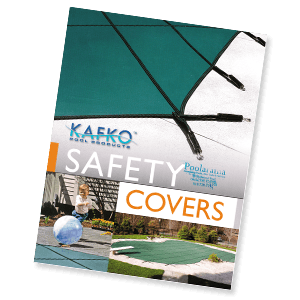 In our commitment to offering the very best products for your pool, we’re proud to offer a variety of swimming pool safety covers by Kafko Pool Products. 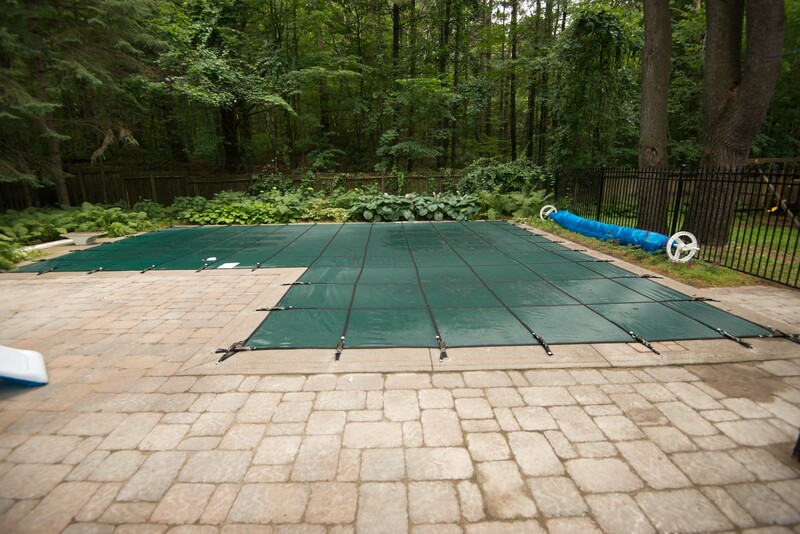 Kafko pool covers are designed to keep your pool safe, clean, and protected all year round. Whether it’s covered for the winter, while you’re out of town, or just for a rainy day, the benefits of swimming pool safety covers are indispensable. They protect your pool from rain, snow, sunlight, and even things like insects and falling leaves. This means less dirt, less debris, less algae, and less need for cleaning (which in turn means less chemicals). They are also an important part of winterizing your pool. 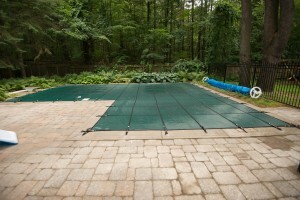 Safety covers allow moisture to drain out instead of collecting and forming unsightly puddles on your pool. 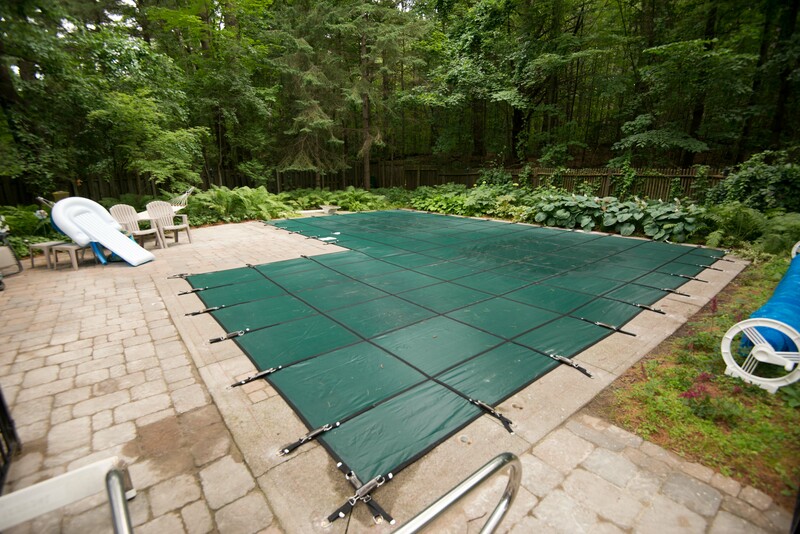 Additionally, unlike regular swimming pool covers, safety covers are designed to support a minimum weight, which can reduce risks associated with pools while not in use—perfect if your family has small children or pets! Why Choose Swimming Pool Safety Covers by Kafko? Poolarama’s commitment to offering the best solutions for every pool owner is why we provide Kafko pool covers. Every component of their design is engineered to best meet your individual needs. Each cover is built better and stronger than anything else on the market today. 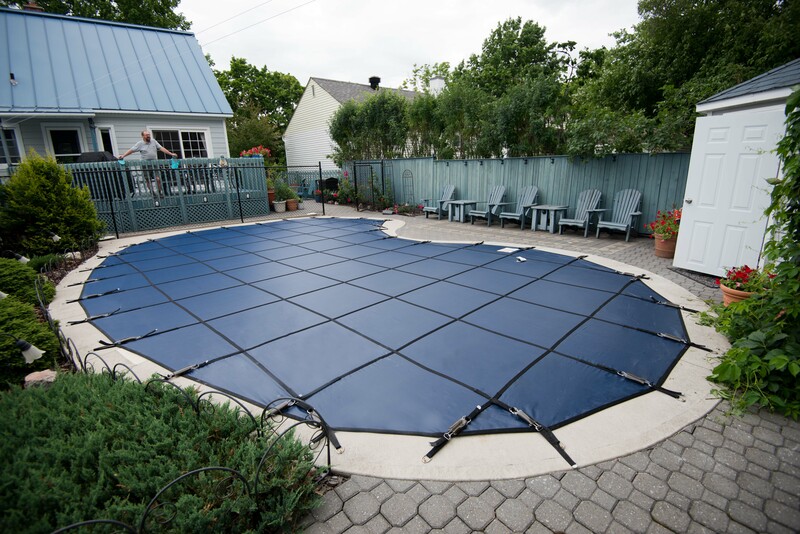 Every swimming pool safety cover they produce not only meets, but exceeds safety regulations. And they all come with a 20-year warranty! Perfect for Ottawa’s climate, the Kafko swimming pool safety covers are designed to protect both you and your family. When you order a Kafko product from us, we ensure that it’s tailored to your specific pool’s needs. We’ll customize the size and shape for you, and only use the highest grade materials to keep your backyard looking great and, most importantly, safe. Our vinyl liners also come in a range of designs, a small touch that can make a big difference to the overall appearance of your pool. Looking for a vinyl pool liner replacement? We offer linger changing services too. Call us today to find out more!